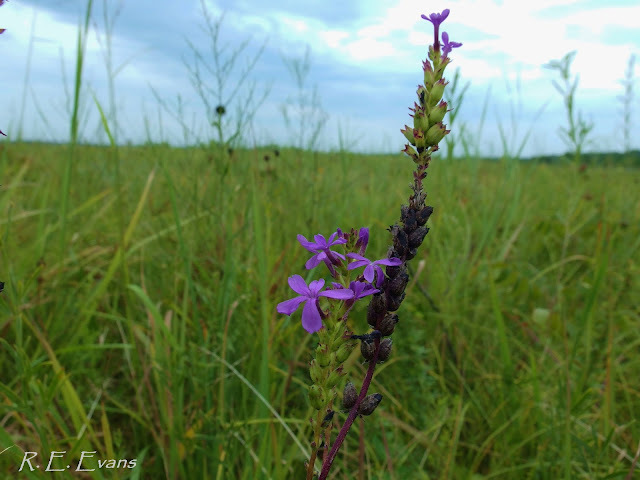 I came across a few individuals of American Bluehearts (Buchnera americana) during recent explorations of the tallgrass prairie. According to Bruce Sorrie and Alan Weakley I was in the "heart of the range" for the species. Back home in North Carolina American Bluehearts is considered an endangered species and is believed to have been lost from nearly every location from which it has been documented. This made finding a few plants feel even more special even if they aren't so rare out in Missouri. Bluehearts was perhaps first documented in Carolina by Reverend Moses Ashley Curtis. In his "Catalogue of the Indigenous and Naturalized Plants of the State" (published in 1867 at the "N.C. Institution for the Deaf, and Dumb and the Blind"), Curtis provided no clues about the abundance of American Bluehearts but listed it only in the "Mid. and Up. Districts", regions most often referred to as the Piedmont and Mountains today. 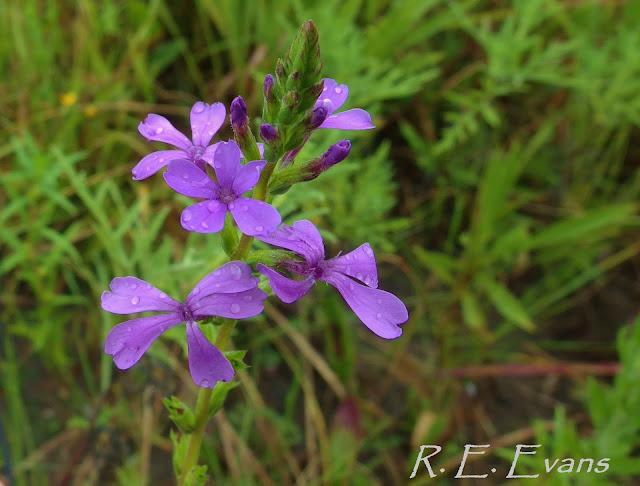 We now recognize an additional Buchnera species found in the coastal plain region as well, Savanna Bluehearts (Buchnera floridana) (see image above). 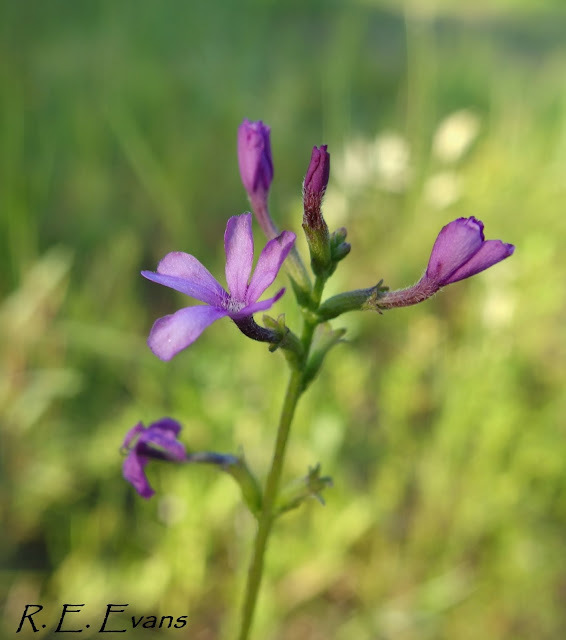 In contrast with American Bluehearts, Savanna Bluehearts characteristically has fewer and more compact flowers (although taxonomic treatments by Bruce Sorrie emphasize leaf characters to distinguish the two). There are some indications that Savanna Bluehearts may be pretty rare in North Carolina (although comprehensive data are lacking since it is not currently tracked by our Heritage Program). Buchnera sp. perhaps intermediate in some characters between B. americana and B. floridana? 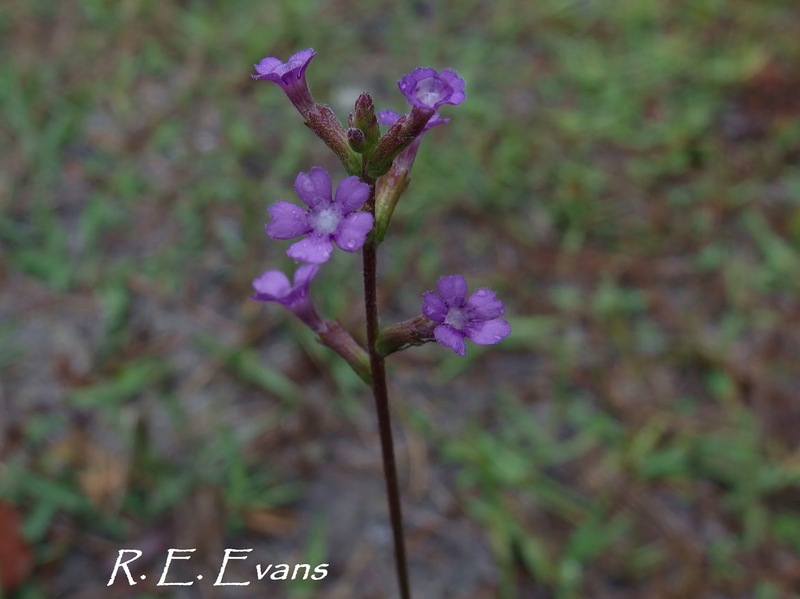 Savanna Bluehearts don't seem to occur further north than North Carolina, but rather extend southward across parts of the southeastern coastal plain, and may not extend beyond the coastal plain. American Bluehearts is primarily centered in Kansas, Oklahoma, and Missouri with spotty occurrences elsewhere, including into the northeast and to the edge of Lake Huron. The ranges of the two species may overlap, but the extent to which this happens, especially the mid-south and parts of the southeast, remain unclear (at least to me) (see image above). Part of the reason the distribution and status of both species is uncertain is due to the fact that the two names are considered synonymous in many areas. For example, NatureServe lumps them together and therefore believes the combined entity is perhaps globally secure. However, American Bluehearts have apparently been extirpated from several states and are considered quite rare or vulnerable in a significant number of others. If the populations consisting of Savanna Bluehearts were seperated from the tally, both species could turn out to be important elements of conservation concern. In the so-called heart of the American Bluehearts range, where I observed it, the species was found in "tallgrass prairie". Today, there are mere remnants of this once vast ecosystem that the US Fish & Wildlife Service (http://www.fws.gov/midwest/ecosystemconservation/tallgrass_prairie.html) believes has become "functionally non-existent over the last 150 years". In my recent forays in Missouri prairies, I encountered American Bluehearts only in 2/20 + remnants visited and found < 5 individuals at each (although my observations were not systematic or comprehensive). Savanna Bluehearts seems to have occupied longleaf pine savannas which could be considered ecologically analagous to tallgrass prairie, and has suffered a similar fate. Importantly both habitats were once subject to frequently recurring fires that likely benefit both Buchnera species. A large part of the conservation challenge ahead will be to ensure that sufficient high-quality habitat remnants of both ecosystem are protected from ongoing threats and are adequately fire managed.